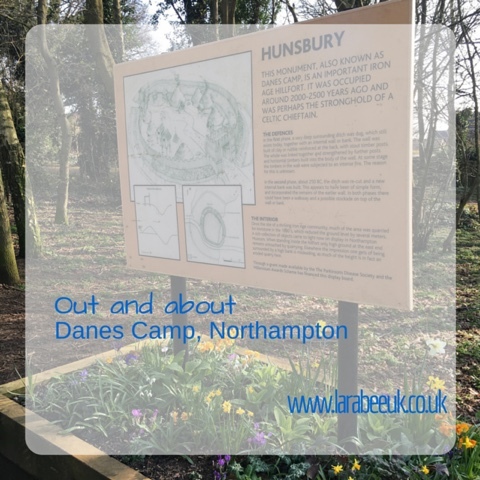 Hunsbury hill country park also known as Danes Camp is a small park located in West Hunsbury, Northamptonshire. 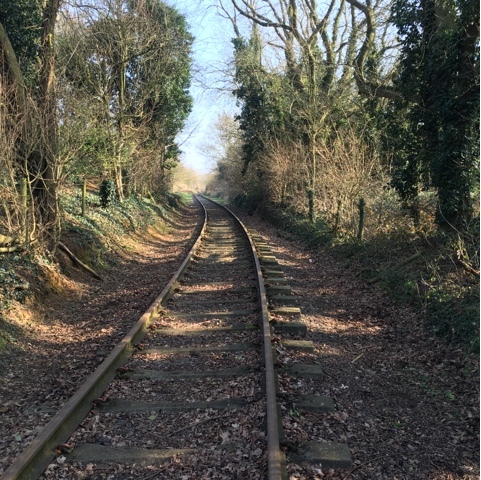 Originally, and Iron Age hillfort, during Victorian times the park was also a Ironstone quarry, with its own Ironstone railway (now closed). 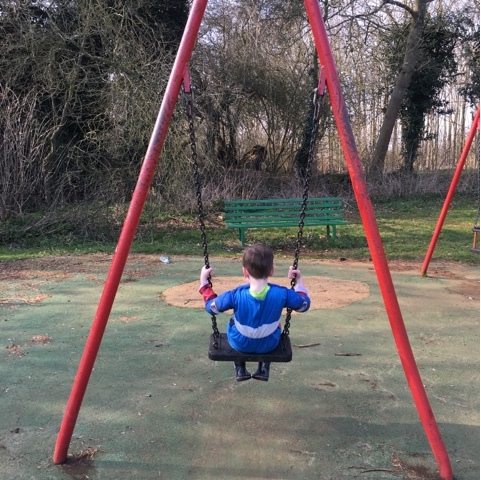 It's a lovely, well kept park and one that we visit often, sometimes with a donut on the way back from grocery shopping at nearby Mereway tesco's or sometime meeting friends for a picnic. 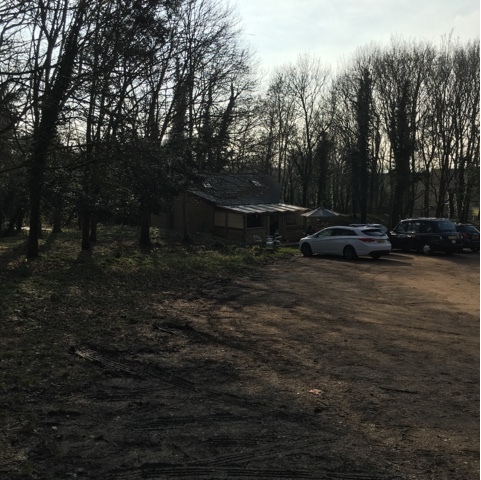 On this occasion, we paid our first visit to the Drovers return cafe the onsite cafe, where we purchased tea and cake to take on our walk. 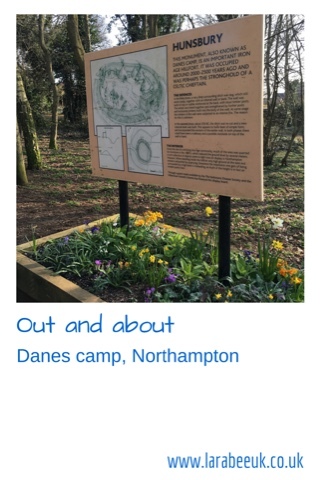 The cafe is very reasonably priced and I've promised T lunch there next time we go! 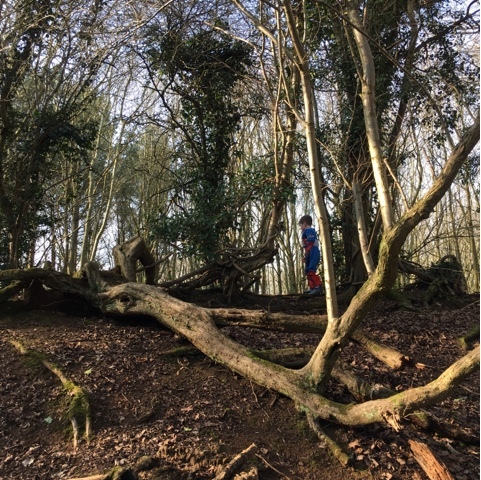 Although small, there are many different areas to explore, which really helps encourage my little adventurers imagination. 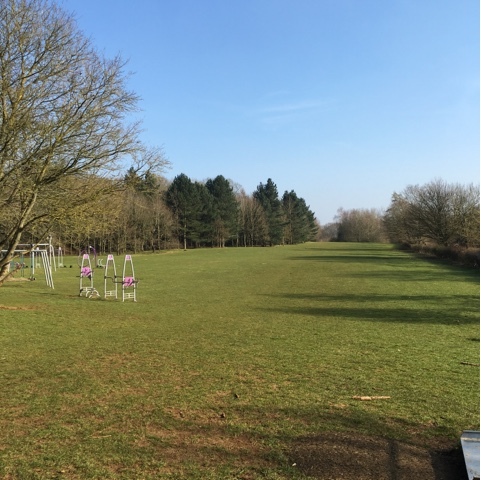 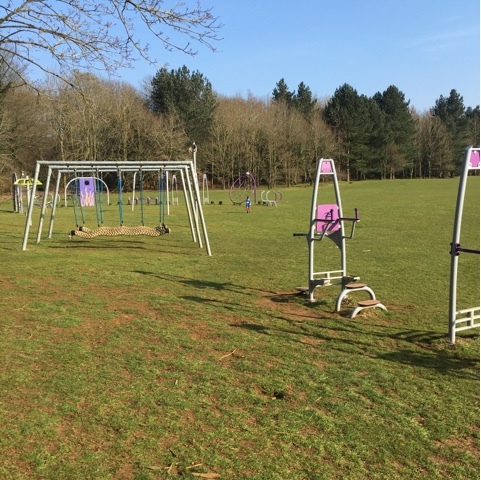 Not far from the car park is the actual 'park area' where there are both childrens and exercise equipment and a lovely large field, great for football or frizbee! 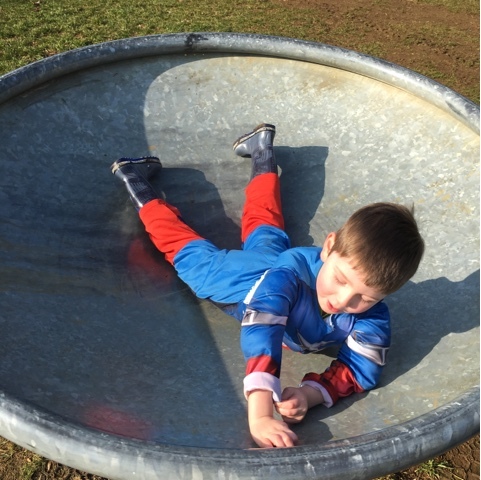 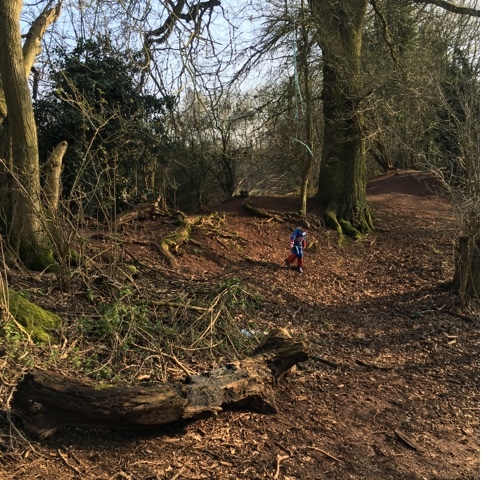 A short walk away from the play area are beautiful woodland walks where T loves to explore and tell tales of dragons and superheroes. 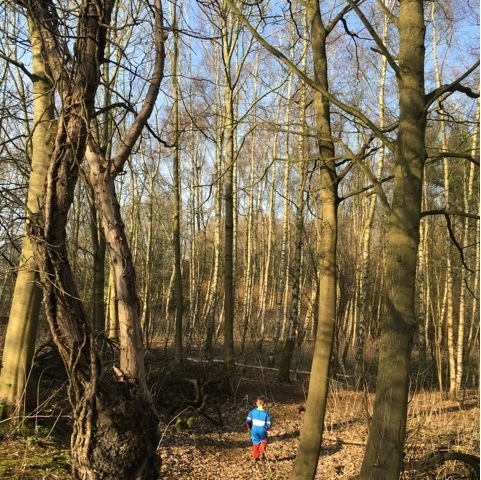 As you can see there are so many areas to explore, little minds can't possibly not be stimulated by such wonderful surroundings. 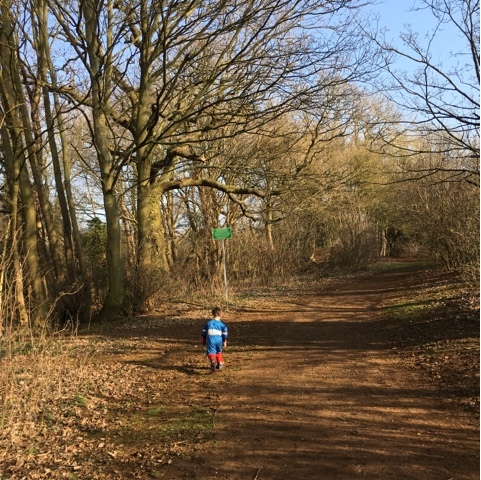 There's no parking fee to visit which makes this a perfect place to take your little adventurers, and possibly as a friend did remember to take your swords and shields for a great battle re-enactment!